Everything You Need to Know About the First Edition of The Sharjah Film Platform! The United Arab Emirates is increasingly becoming one of the leading hubs in the region for the ever-growing filmmaking industry. One step closer to achieving this is the launch of a huge new film festival that is set to take place this month, January the 18th to the 26th in the city of Sharjah! Tickets for #SharjahFilmPlatform are now available on ticketmaster.ae. General admission: AED 15. Group (10+) tickets: AED 8. Get your tickets today! #sharjahartfoundation تتوفر الآن تذاكر عروض”منصة الشارقة للأفلام“ على موقع ticketmaster.ae. سعر التذكرة: 15 درهماً. وسعر مخفض للتذاكر الجماعية (10 تذاكر فأكثر): 8 دراهم. The festival is called the Sharjah Film Platform (SPF), an annual programme organized by Sharjah Art Foundation, that supports film production in the UAE and the region. It provides a critical platform for both established and aspiring filmmakers. Sharjah Art Foundation and the Sharjah Biennial have supported artists working in the film through commissions and production grants since 2003, and now they’re taking that support to the next level! The platform has three main components, a curated film programme and award; a programme of talks, workshops and discussions; and a production grant for short films. The platform promised 120 films from over 40 countries; selected from an open call. There will be short and feature films in the narrative, documentary, and experimental categories! Along with the screenings, there will be sessions and workshops by Emirati filmmakers and practitioners along with regional and international speakers. One of the most interesting things in the first edition, is that they will be screening a number of movies by the legendary Egyptian Director, Youssef Chahine, on the 10th anniversary of his passing. The movies will be screened in collaboration with The Africa Institute. The Africa Hall is one of the venues that will host the platform, alongside Mirage City Cinema, Al Hamra Cinema, and Sharjah Institute of Theatrical Art. Tickets can be booked on Ticketmaster for just AED15, and a more discounted price if you’ll book more than 10 tickets! Here are some of the movies we’re super excited to watch, and you can check the website here for the full schedule. 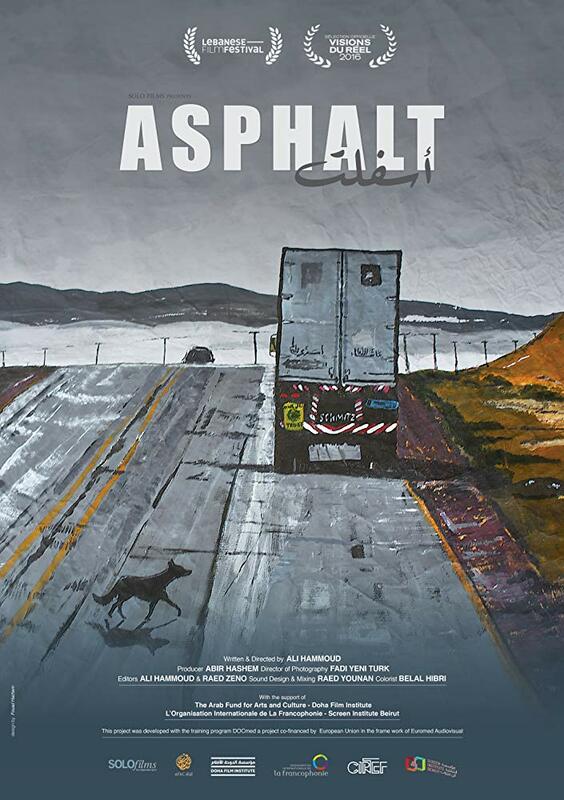 Asphalt is a Lebanese documentary film about two truck drivers; one Lebanese and one Egyptian, who make their living on asphalt roads that stretch miles across the ever-changing Arab landscape. It’s directed and written by Ali Hammoud. ‘I Have a Picture’ is an Egyptian documentary, about a game of power between an assistant director and a director, leading to the realization that we all live our lives as extras, ‘accessories’ in the background who wait for the chance to become a star. The documentary is directed by Mohamed Zedan. Baitna Cheshire is a Sudanese documentary that highlights the unique work of the Khartoum Cheshire Home, a comprehensive facility for the care and treatment of disabled children. The center has a musical ensemble for young people who receive treatment at the facility and participate in the educational programme. It’s directed by Muzamil Elrayah.